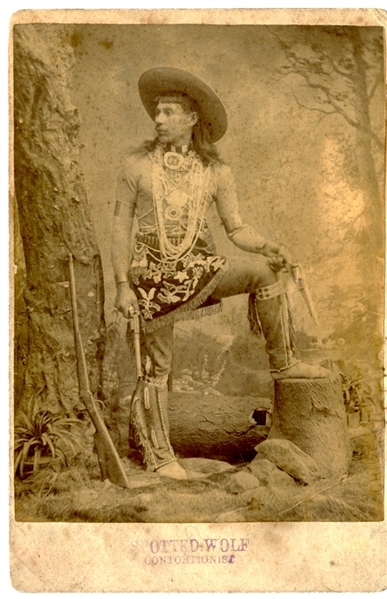 Cabinet Card Photograph with a stamp title on the front mount, “Spotted Wolf, Contortionist”, slightly light. Our Native is holding a revolver in the either hand, his rifle leans against a tree, his bare chest is covered by a dozen strands of beads. On the verso, “Indian man who gave Minnie Johannsen this book for getting most word out of Kinkapoo”.